The first time I was attacked by an Israeli settler, I was 14 years old. I was walking to school when an armed man wearing a skullcap, standing near some Israeli soldiers, pulled my pack off my back and threw it in the mud. That wasn’t last month, nor was it near a new outpost in Nablus. Rather, this happened 30 years ago, on the main road running through Bethlehem, near Deheisheh refugee camp, where I lived. The settler was not just any alienated, disaffected man. 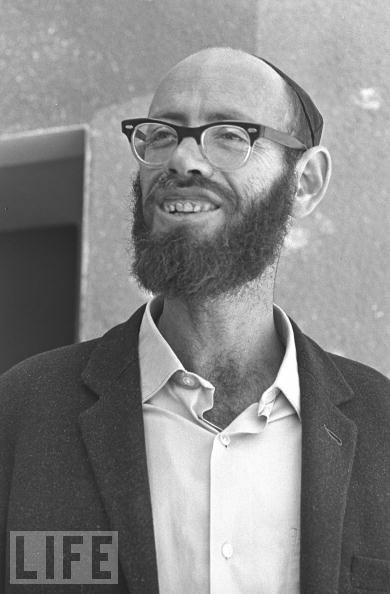 He was, I learned later, the father of the national religious settlement project – Rabbi Moshe Levinger. In those days, the settlers and the Egged buses on their way to and from the nascent settlements in the area would drive right by the camp. Their vehicles were often the targets of many rocks: Who among us wanted armed Israelis using our roads? Levinger wanted to show us who was boss. At first he would stop his car, and chase and try to attack us. He would scream at the soldiers stationed on the road to arrest and beat the kids. Soldiers would then fire tear gas and play cat-and-mouse with us in the camp’s alleys. Emboldened by army support, Levinger and his fellow “pioneers” would enter the camp and open fire randomly. Clashes would ensue. The soldiers would then run after us and make arrests while Levinger and his friends would return to their cars and drive home to their settlements. The violence became a daily event. This is what life was like for me and my friends during these years. For Levinger and his nationalist movement, it constituted a disruption of their commute to and from Jerusalem. To placate these champions of Zion, the Israel Defense Forces finally erected a nine-meter-high fence, topped with barbed-wire, around Deheisheh. The camp’s thousands of residents now had a single way in and out, and it was guarded by soldiers, making it like living in a prison. A 7 P.M. curfew was in place for years. The settlers had won: They had taken over the only thoroughfare serving Deheisheh and the entire southern West Bank, and put us Arabs in a cage. Realizing his invincibility, the father of the settler movement – not a fringe group of radical-right outcasts, but Levinger himself – then set up an “outpost,” a new settlement, across the road from the camp. He brought in a mobile home and topped it with an Israeli flag, declaring it the first settlement near Rachel’s Tomb. Guarded by IDF soldiers, he invited his pioneer friends and held loud parties into the night, while we remained under curfew. As is the case today in Hebron, the soldiers would put Deheisheh under daytime curfew when the settlement was visited by like-minded delegations. Every day brought a new nightmare – clashes, curfews, tear gas, school closures. Our homes were raided nightly, and we saw our friends, mothers, sisters being attacked. With the support of the Israeli army, this man, the beloved rabbi of the national religious settler movement, was tearing our lives apart. We saw no end in sight, just more Israelis about to move into our neighborhood and make our lives hell. So a group of us kids – six of us, ages 13 to 16 – organized and fought back the only way we knew how: with rocks and a few improvised bottles filled with kerosene, with a wick stuck in them. We threw them at his outpost and at the soldiers who were allowing it to wreck our childhood. No one was hurt. And in the middle of a freezing winter night, just a few days after we organized, a plainclothesman from the Israeli security services, backed by a large contingent from the army, raided our homes and took us all away to interrogation, torture and prison. Lea Tsemel, our Israeli attorney, pleaded with the military judge that, “they’re just kids.” The judge responded by sentencing all six of us to four to six years in prison for terrorist activities. My mother fainted in the courtroom: Her first-born son, for whom she had waited years, was taken away from her for good. For good, because, at age 16, entering the steel gates of the Israeli military prisons, I could never go back to my former life. Levinger’s outpost, his settler violence, permanently changed my life. I and my friends were now “terrorists,” and for the next 20 years, we would be caught up in the revolving door of Israeli interrogations and administrative detentions. Ultimately, Levinger’s outpost was dismantled by the army, which decided it was too hard to protect against the other rock-throwing kids of Deheisheh. Should I have acted differently then? I suppose that if an Israeli settler pulled my bag off my back and threw it in the mud today, I’d probably file a complaint. Violence by either side is a major part of the problem, not the solution. The settlement project at its core, not on its fringes, was and remains rotten and inherently violent. We Palestinians struggled long to stop this project, which violates the most basic tenets of international law, and for this, we were labeled terrorists. Today, Israeli society may be paying the price existentially for the settlement project, but we Palestinians have paid the price with our bodies, our lives and our futures. Abdelrahman Al Ahmar is from Deheisheh refugee camp. Today he is the elected deputy mayor of the Doha municipality, near Bethlehem and Deheisheh.